DO YOU HAVE A FINGER INJURY? We are the Leader In Professional Musical Finger Protectors. Longer Custom Made 2 inch Finger Extensions available here as well. Trusted By Thousands Of Musicans & Non Musicians Worldwide. THE #1 GUITAR FINGER PROTECTOR ON PLANET EARTH. For Guitar, Bass Guitar, Violin, Banjo, Mandolin, Harp, Horn, Keyboard Players. Serious Musicians invest in the #1 Guitar Finger Protector to keep them playing. Review Our New Galaxy FT-1 XL. A longer Finger Protector. Details are below. Helping The World One Musician At A Time Play Their Instrument In Comfort. Our Finger Protectors are helping Non Musicans as well with a Finger Injury. 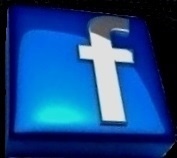 This Page Contains Expert Information & Photos to help you. 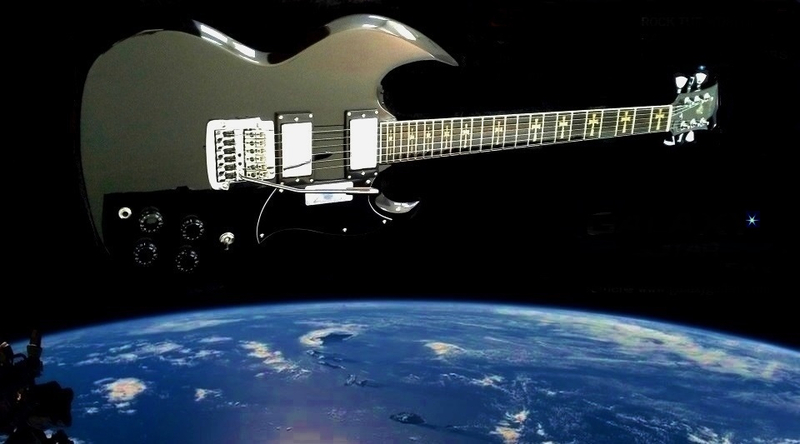 Developed by Our Founder An Accomplished Guitarist. Available standard interior widths: Normal size- 5/8 inch, Large size- 3/4 inch. Custom width sizes: Extra Small-1/2 inch, Extra Large Sizes- 7/8 inch, 1 inch. 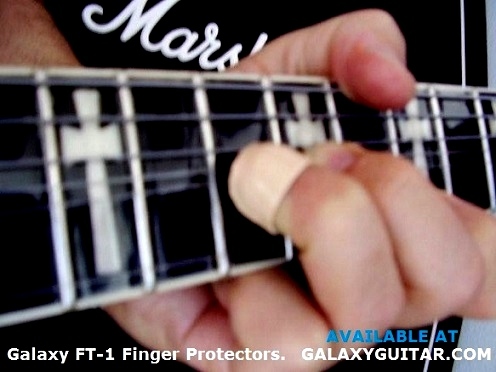 Galaxy Guitar Finger Protectors are sold as one. Our unique formula delivers flexibility & firmness for unsurpassed protection against pain & sensitivity while providing a strong protective barrier. Need a Longer length? See Galaxy FT-2 Extensions below. For those that want a sleek aggressive look. Choose Solid Black, Silver or Gold Flash Stripes Specify at checkout. Galaxy FT-1 Protectors can help stop finger sensitivity pain while you type. Custom Order Sizes Are Available. Put our 23 years of Guitar Finger Protector experience to work for you. 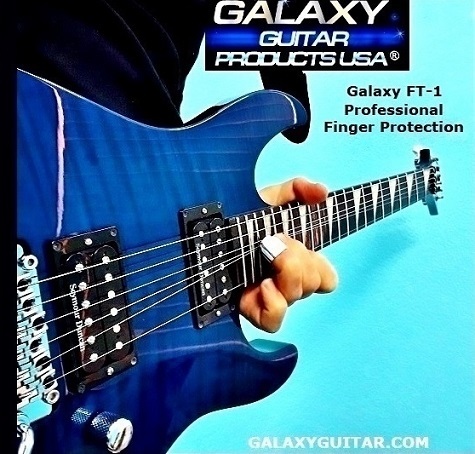 Galaxy Guitar Products USA manufactures & ships the patented Galaxy FT-1 Finger Protector™ Worldwide. 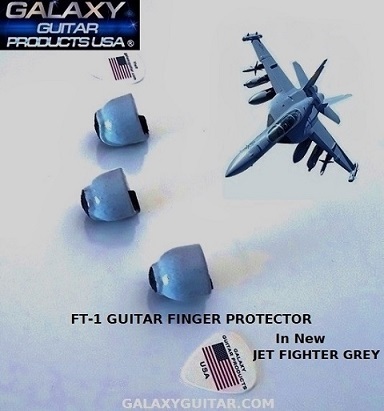 The FT-1 Guitar Finger Protector is your only option if you want the Best Guitar Finger Protector that provides a professional solution made for Guitarists, Bass Players, Violinists, Cellists, Viola, Stringed Harp Players, Mandolin, Banjo Players, Uke, Saxophonists, Clarinetists & Keyboardists. 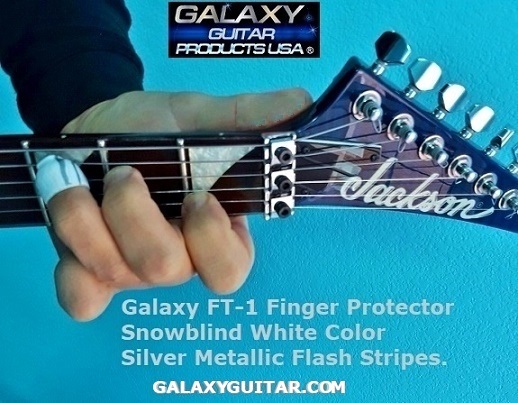 The Galaxy FT-1 Finger Protector™ is the #1 Finger tip injury guitar aid. It provides help for all types of Musicians & Non Musicians with injured finger tips. It is not a cheap silicone toy finger tip guard Made In China or rubber finger cot. Galaxy FT-1 Finger Protectors™ help a finger tip that has been severely injured, cut off or experiences painful sensitivity. Our Ultra-Flex Cores are firm & strong, they are not thin or stretchy. They will not rip, tear or crack. We make them to last as long as you take care of it. The Galaxy Finger Protector will provide protection from serious finger challenges. Clients come to us after they wasted time with cheap substandard protectors or someone making a home made item that does not work. 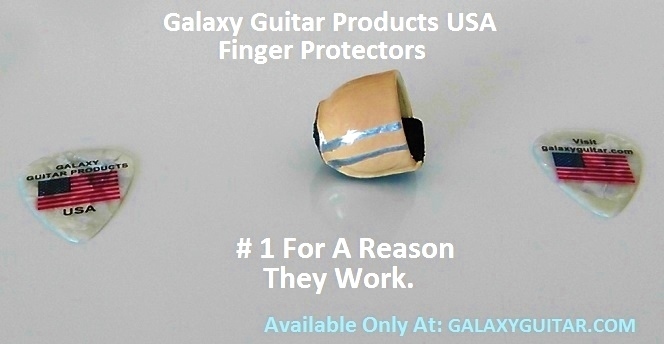 The Galaxy Guitar Finger Protector is the only finger tip protector designed to stop pain & sensitivity from an injury by removing most of the pressure at the finger tip. Our Guitar Finger Tip Protector is tailored for any musical instrument playing. Silicone finger guard products do not provide this level of professional protection or properly slide over frets or grip instrument steel strings. Doctors who are musicians with finger injuries or have patients in need of a finger prosthetic for musical instrument playing purchase our Guitar or Bass finger protectors & finger extensions. The Galaxy FT-1 & FT-2 Finger Protectors™ are not medical devices, they are a musical accessory. Many non musicians have overcome their lost or injured finger challenge right here. 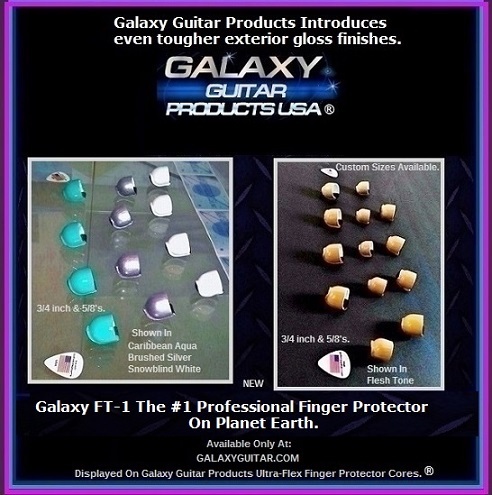 Galaxy fabricates the Best Guitar Finger Protectors & Extensions to last you years. Unlike soft silicone medical finger prosthetics that have to be repurchased every few years. The Galaxy FT-1™ increases the speed of hammer-on's, develops a unique vibrato technique allowing you to become more precise with your playing. Read Guitar Finger Protector Customer Reviews below. WE STARTED THE GUITAR FINGER PROTECTOR INDUSTRY IN 1996. THE #1 ORIGINAL GUITAR FINGER PROTECTOR. The Galaxy FT-1 Finger Protector™ is sold as one. 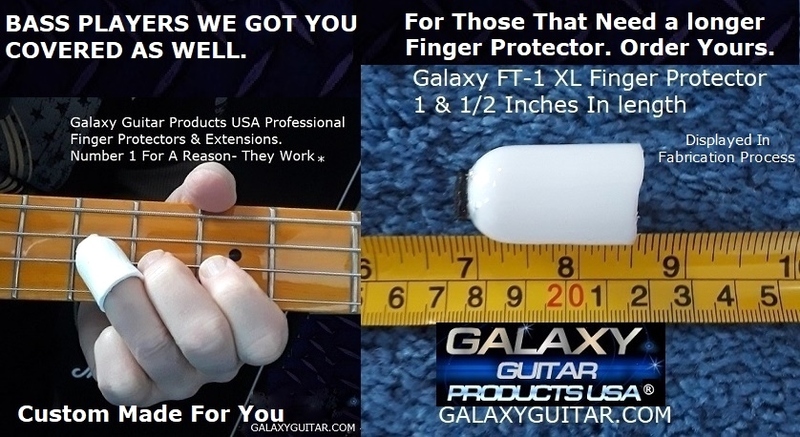 When you need the Best Guitar Finger Protector for a serious finger injury that has healed or painful sensitivity condition there is only one professional choice for advanced or beginner players- Galaxy FT-1 Finger Protector™. Here is why: Stronger than a Finger Prosthetic or gimmick silicone finger guard that do nothing to provide protection The Galaxy FT-1 Finger Protector™ helps hundreds of Musicians worldwide each year regain the ability to play their instrument in comfort. No other Guitar Finger Protector absorbes Heavy Pressure. The Galaxy FT-1 Finger Protector™ does for unsurpassed protection. 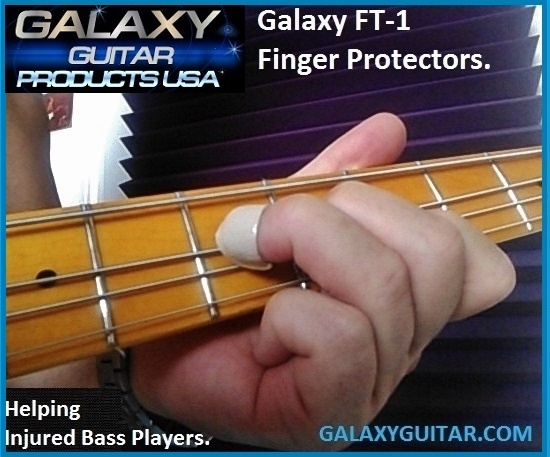 Furthermore- those that may have a serious finger injury or are missing the tip of your finger or may need just a bit more length the Galaxy Professional Finger Protector™ helps an can get you back to playing. Only a Galaxy FT-1 Professional Finger Protector ™ provides real finger protection for Musicians Worldwide for over 23 years. Get One. HOW LONG DOES IT TAKE TO LEARN HOW TO PLAY WITH A GUITAR FINGER PROTECTOR OR EXTENSION? We provide you the tool to over come your injury, your Determination & Patience is the key. As you get used to your FT-1 or FT-2 no matter what instrument you play it can help you over come your injury challenge enabling your unique musical style to develop & excel. Have Realistic Expectations. You can not put a new Protector or Extension on your injured or missing finger and expect it to feel normal at first. On Average your brain will get used to it within a few weeks. Our 2 inch length FT-2 Finger Extension On Guitar the learning curve is 6 to 8 weeks. For Flute, Clarinete or Saxophone or Keyboards it is about 10 days. Other factors come into play- how often you play, your playing ability, are you beginning to learn or getting back into playing a musical instrument. If you were fitted by a Medical Professional with a Prosthetic you may have to endure months of physical therapy. With our non medical Finger Protector or Finger Extension Your Patience & Positive Can-Do Attitude are important keys to success. Give yourself time be get used to it. If you experienced a loss at the knuckle, thumb or pinky review our Galaxy FT-2 Finger Extension™ details are below. 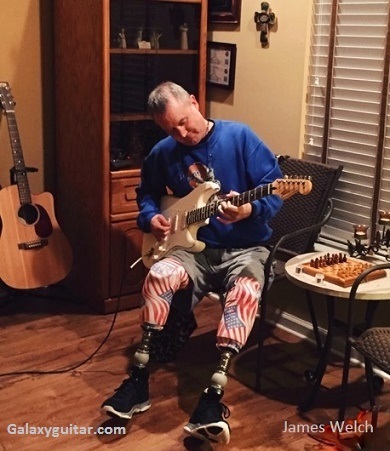 Our FT-1, FT-1 XL Protectors & FT-2 Extension are helping Children & Wounded Warrior Veterans start to learn or return to their musical instruments. Do you experience sensitivity when typing on your computer or playing on a keyboard, have a nail curled at the tip? The Galaxy FT-1 provides protection from these challenges with a contoured tip that absorbs pressure. Hundreds of Musicians depend on their FT-1 everyday. Many Non Musicians depend on their FT-2 to regain lost finger length. Now it is time to overcome your finger challenge. Galaxy Professional Finger Protectors are helping many people who have lost their finger tip or lost length of a finger accomplish their goals. The Galaxy FT-1 Is The Best Finger Protector You Can Buy. Number 1 For A Reason- It Works. 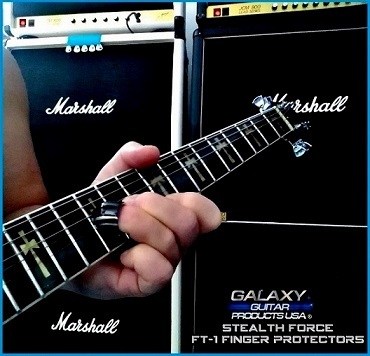 Galaxy Guitar FT-1 Finger Protectors & FT-2 Finger Extensions™. Available interior widths: 5/8's & 3/4" Custom Order Sizes Are Available. The Most Important Gift You Can Give Someone Missing Their finger. Standard Sizes $137.00, Custom Orders: $247.00. More Color Options shown below. Large 3/4", 7/8's & 1-inch. $437.00 Details Below. Finger Entrance sizes displayed in inches. Measure & Compare Your Finger Size Carefully. Customized Orders Accepted As Well. Custom Order Details Shown Below. Our Guitar Finger Protectors are strong & fexible. They are made for a serious finger injury where the tip of your finger is missing or to sensitve to press down or bend steel strings. No other Guitar Finger Protector has our Ultra-Flex Formula we developed. 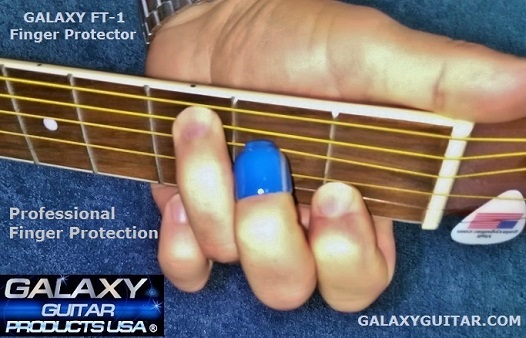 Galaxy Guitar Finger Protectors can even be heated with a blow dryer on low heat to soften & expand the core slightly if you need a bit more room. This will not compromise the strength of the protector. You can spend $7,500 for a Prosthetic, will it be strong & tailored for Musical Instrument Playing? No, soft silicone has to be replaced every few years as well when it dries out then cracks. A medical prosthetic is more expensive & does not have the down-force strength or a grip to play an instrument. You can spend $10.00 for silicone or plastic toy finger guards, will they stop pain & sensitivity from a severe injury? No. Seasoned musicans & those starting to learn will need a strong protector that lasts & can standup to the many demands of individual players. Bending strings, playing fast, sliding over frets, chord positions. These all take time to master, once you do master them you will be glad you invested in a Professional Finger Protector & you took serious steps to over come your finger condition. 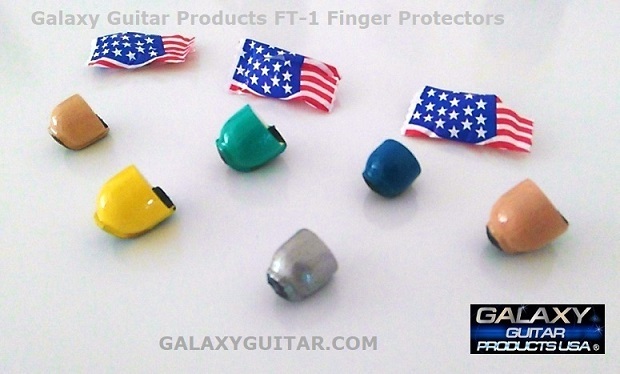 The Galaxy FT-1 is the #1 Guitar Finger Protector Made in America. Thousands less than a Finger Prosthesis. Galaxy FT-1 Finger Protector™ & FT-2 Finger Extension™ provide unsurpassed protection from an injury or sensitivity. If you are serious about resolving your finger challenge We are serious about providing you the tool to accomplish that Goal. Need a longer Finger Extension but 2 inches it to long? GALAXY ULTRA-FLEX FT-1XL FINGER PROTECTOR & EXTENSION. Available in any color we offer. Above Left & Right Shown in Snowblind White Finish. NEW FOR 2019: THE GALAXY FT-1 XL FINGER PROTECTOR & EXTENSION IN ONE. For the Musician or Non Musician with an injured finger who requires a Finger Extender measuring 1 & 1/2 inches in length. All of our cores are 1/16 of an inch thick. They provide unsurpassed protection. Our original FT-1 standard size measures 1 inch in length. The New FT-1 XL is for the Person who requires a slightly longer Finger Protector. FT-1 XL (Extra Length) is shorter than our 2 inch length FT-2 Finger Extension. FT-1 XL does not have a simulated Finger Nail Option like the FT-2 Extension. Both the FT-1 XL & FT-2 are Custom Orders only. They are specially fabricated to your specifications. All our Ultra-Flex cores are fully hollow. Your finger can go all the way into the core. A longer length is achieved by pulling the extension out. We can provide our foam strips for a custom fit. FT-1 & FT-1 XL & FT-2 come with adhesive backed foam strips that can be place inside to push the tip out more in comfort. The thin foam strips can also provide a snug fit when placed on the sides of the interior entrance. Placement directions come inside your package. FT-1 XL Custom Orders are the same price as a Custom Ordered FT-1 for those that need an extra Length size priced at $247.00 USD. Pricing details are below & on our order form at checkout. Visit our YouTube channel to see the FT-1 XL in action. Yes you can play Chords & Solo's. It gets down to Your ability & Positive Determination & Patience. HOW DO I STOP MY FINGERS FROM HURTING WHEN PLAYING GUITAR? First determine the degree of your finger pain. Is it sore fingers or a more serious finger pain condition due to a finger injury such as loss of your finger tip. If you are a beginner finger soreness is normal. Within a few short weeks this soreness will subside. You will begin to form calluses on your finger tips from playing your Guitar this will eliminate pain. You can order light gauge Guitar string sets that begin with 009 or 008 gauge. You also should pickup Finger Ease or Fast Fret. These guitar products are clean lubricants that Substantially reduce friction allowing you to play faster & smoother on stringed instruments and may reduce your finger pain. You should use them regardless as they help you become more proficient and provide a more enjoyable guitar neck feel. Use them on Guitar or Bass strings & fretboards, back of the neck as well. Are they a substitute for a Finger Protector or Guitar Finger Prosthetic? No they only provide a bit of friction reducing lubrication. You should keep your insturment playing surfaces clean. A quality Furniture Spray or Guitar Finish Cleaner can do the job nicely & condition your Guitar or Bass fretboards. After cleaning your Guitar a quick spray of Finger Ease or Fast Fret application on your strings, front & back of the neck can make the next time you pick up your Guitar perfect & ready to go. If you have a Rosewood or Ebony fretboard using a quality Lemon Oil will also make the playing surface more appealing while conditioning the wood. 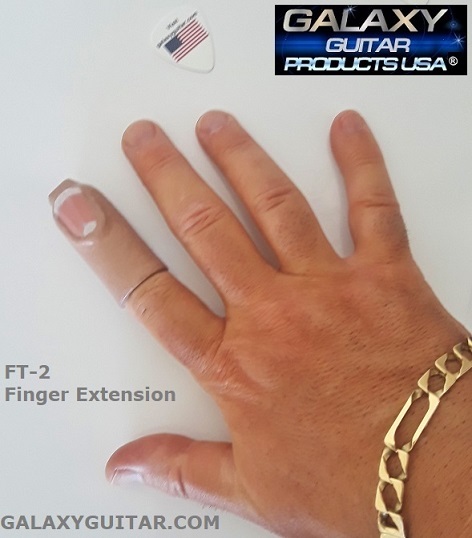 If you are a Guitar Player or play another musical instrument an have serious finger soreness or an injury such as missing the tip of your finger or experience painful sensitivity or a skin condition then our Guitar Finger Protector is the professional solution made for these conditions. Soft Guitar Finger Guards cannot stop the pressure at your finger tip that is causing pain. Galaxy FT-1 Finger Protector is the only product that provides a strong barrier needed to allow you to play your instrument absorbing pressure at the tip. 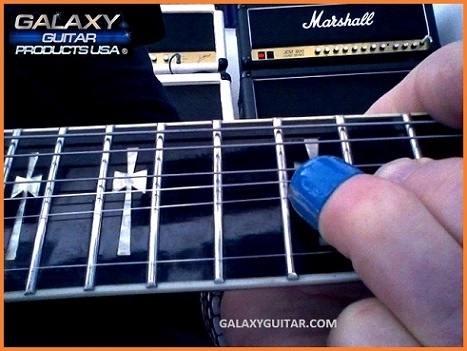 Even if you have had surgery & have what doctors call a Flap or blunted squared off tip a Galaxy Guitar Finger Protector can give you back a strong contoured tip with a bit more length reducing or stopping your finger pain. WE PROVIDE PROFFESIONAL TECH SUPPORT PRIOR TO YOUR ORDER BEING PROCESSED. 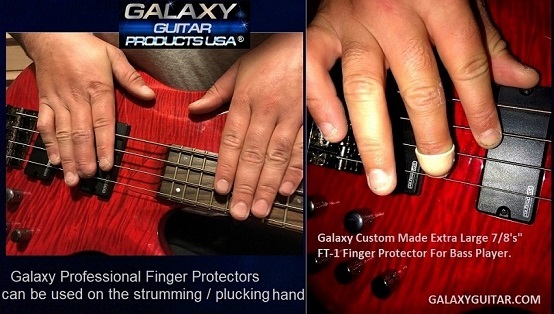 Galaxy Guitar Products USA provides professional Tech Support answering your Guitar, Bass, Keyboard or any musical instrument questions on how a Finger Protector or Finger Extension will relate to your specifc Finger condition & Playing Ability before you purchase. We help each musician by reviewing provided photos & offering Expert Recommendations prior to processing your order. No other company offers our important service with Expert Technical Support on our Finger Protectors & Finger Extensions. Most Musicians order after they followed our measurement guide lines below on this page. If you need professional help with sizing it is available right here. Use The CONTACT US form Tab. Meticulous hard work goes into making each FT-1 Finger Protector & FT-2 Finger Extension. Our tech's spend 7 hours over 4 days making each Galaxy FT-1 in batches. Our Unique Ultra-Flex cores are fabricated then a special wash is applied to sanitize them. Precise cutting & permanment bonding of our exterior grip is next so it lasts you years sliding over guitar frets & steel strings. Hours of meticulous fine detailing follows throughout the entire process. Then a final cleaning of the core interior & exteriors in preparation for painting. 4 coats of special non irritant paint are hand applied heat cured between coats. 4 coats of our special strong clearcoat heat cured between coats are then applied to the exterior producing a durable exterior gloss finish. Once fully cured our Finger Protectors are shipped out helping another injured Musician around the world. Your Galaxy FT-1 is crafted by a Guitarist in the United States not stamped out of a machine in a foreign land. Surgeon's, Insurance & Prosthetic Companies contact us to form a Finger Protector for their Musician clients. It's Your Finger & certainly worth having the highest standard of Finger Protection. Our unique Ultra-Flex Formula will even expand when heated on low heat with a blow dryer. If you are a Bass Player-Let us know at checkout. We have Protectors fabricated with extra wide exterior grips ready to ship, naturally at no extra cost. Need your finger length back? Our FT-2 is fabricated using a longer Galaxy Ultra-Flex 2 inch core. Exterior strip is installed. Customers who order a simunlated finger nail is then applied. 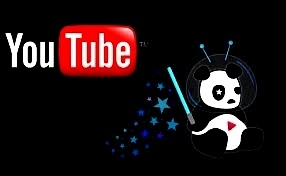 Once you're used to the Galaxy Protector or Extension it will get you back to playing in comfort. We do not make guarantees that may not be realistic for every client. It is up to your patience & determination just like learning your musical instrument these are Keys to success & accomplishment with your new Finger Protector or Extension. HOW DO I BUY A GUITAR FINGER PROTECTOR OR FINGER EXTENSION? Click on any chrome BUY ME tab. Fill out the secure order form, check the appropiate box for the size & shipping service, add your color choice in the bottom comment box Click Submit. It is that simple. Once we receive your order our processing team will email you an authorization & agreement. Fill it out confirm your choices, agree to terms. It takes 60 seconds Email the complete agreement back we will process your order. We can help you with sizing. A measuring example photo is displayed below on this page. You can send us a photo of your fingers over an inch tape measure positioned as shown. We do not make recomendations without a photo over an inch tape measure. Click on the Contact Us Tab, upload your photos. We will respond within 7 hours or less with a professional recommendation to help you. Please note- we do not choose your type of protector or size, the final choice is always yours. We will do our best to help you. Measure carefully. 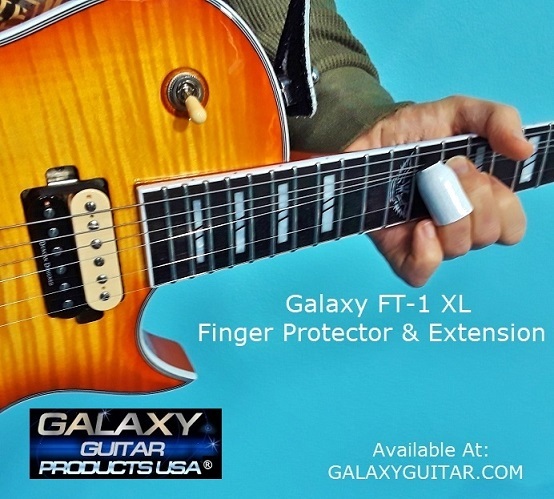 GALAXY ULTRA-FLEX FT-2 FINGER EXTENSION: Galaxy Guitar Products offers Ultra-Flex FT-2 Finger Extensions™. We receive many requests from people who need a longer extension for those that have lost more than the tip of a finger. The Galaxy FT-2 is a Custom Made 2 inch length finger extension. 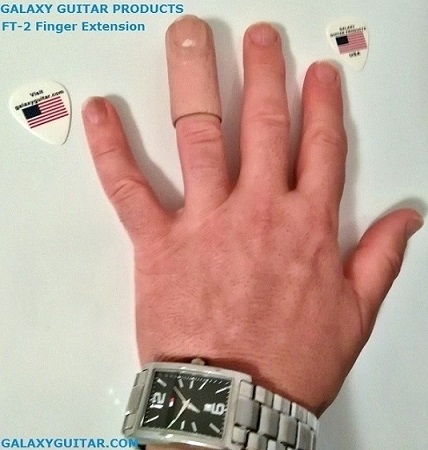 The FT-2 Finger Extension™ is not a medical device it is a musical accessory to help musicians that have lost a larger portion of the finger enabling them to reach & press down firmly on their strings or keys on a musical instrument. Our Ultra-Flex formula hugs your finger enhancing inside traction preventing the FT-2 from coming off your finger when playing. The FT-2 Extension is more combersome than a protector. The learning curve is much longer. Our Finger Extension does not have arches, everyone has an arch in different postions we would have to have hundreds of molds. It is a straight 2 inch extension that can be heated and softened. We even make the finger nail from scratch, cutting the shape & matching as best we can the color tones based on your provided photos. Painting the underside of strong clear material with 3 coats of paint & 2 clear sealer coats. The completed finger nail is then strongly bonded and has to cure for 24 hours, then we form the cuticle, another meticulous process involving shaping, detailing , blending. Galaxy Ultra-Flex FT-1 Protectors & FT-2 Extensions™. Currently available in 5/8's & 3/4 inch standard interior circumference sizes. Custom size orders are always available, details below. Galaxy Guitar Products is dedicated to help you regain your ability to play & excel on your musical instrument or any type of keyboard. Your only challenge is having patience & determination to overcome your finger condition. FT-1 Protector, FT-2 Extension Colors: Flesh-Tone, Darker Flesh Tone, Electric Blue, Electric Blue or White with Silver Flash Stripes, Gloss Yellow, Caribbean Aqua, Brushed Silver, Snowblind White, Stealth Force Black or with Gold or Silver Flash Stripes. Review photos on this page. New color- Jet Fighter Grey. Custom FT-2 Finger Extension is available in Matte or Gloss Flesh-Tone Finish only. Yes we can tint the color darker to come close to your provided photo. To order click on any chrome BUY ME tab. Confirm your color choice & Quanity in the Order Form bottom comment box. SIZE, MEASUREMENT, PRICING INFORMATION: Galaxy FT-1 Finger Protectors™ are sold as one. Our Guitar Finger Protectors are $137.00 for both standard sizes ready to ship. On our normal size the finger entrance is 5/8's of an inch interior circumference. This will fit a average size finger. 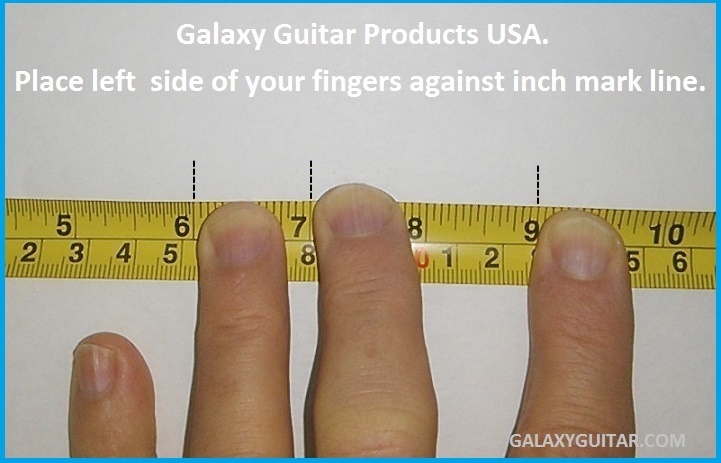 Our Larger Guitar Finger Protector measures 3/4's of an inch interior entrance circumference. Both our normal & large standard size are the same price.We do not charge extra for a larger standard Protector. Need a larger size? Custom options are available. Custom Made FT-1 & FT-1 XL Protectors are $247.00. The FT-1 measures 1 inch total length. The FT-1 XL measures 1 & 1/2 inches in length. We recommend you measure your finger carefully to insure a proper fit. We can help. Here is how to accurately measure: Lay your finger tip area over a tape measure, press down slightly, if your finger width measures 5/8's of an inch across You need our normal 5/8's FT-1 size. If your finger width is a bit wider measuring larger then 5/8's to 3/4's of an inch across or larger, you need our Large size or a Custom FT-1. For smaller size fingers, Our foam stripping can be used for a snug fit. On Custom orders we provide foam stripping for a custom snug fit. There is a finger bed grip inside. Not sure what size to order? Use our Contact Us form to upload a photo. Place the left side of finger flush on inch marker, do not use the 1 inch section to avoid interference with the metal tab on a tape measure. Press down slightly, take a photo. We do not choose your size, our qualified technical team can analyze your photo an provide a professional recommendation. We do not guarantee the FT-1 Finger Protector will fit or work for you. Due to the Sanitary nature of this product worn on the finger or risk of infection there are no returns. All FT-1 Protectors arrive to you in Ultra-Flex Cores for $137.00 USD each. Ultra-Flex FT-1 Custom Size Orders are available in all colors for $247.00 USD. 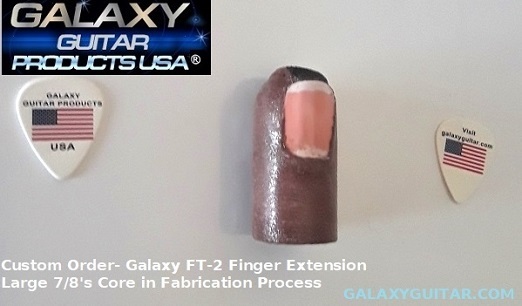 Galaxy FT-2™ Custom Made Finger Extensions are $437.00 each with optional simulated Finger nail, Matte or Gloss Flesh Tone Finishes. Currently we are offering Free shipping in USA. International Customers allow $25.00 USD additional for: FedEx Intl Priority Shipping getting your protector to you fast as possible, U.S. Customs Paper Work Preperation, Intl Payment Processing Charges. You can send us a photo. Follow Our How To Position Your Finger. 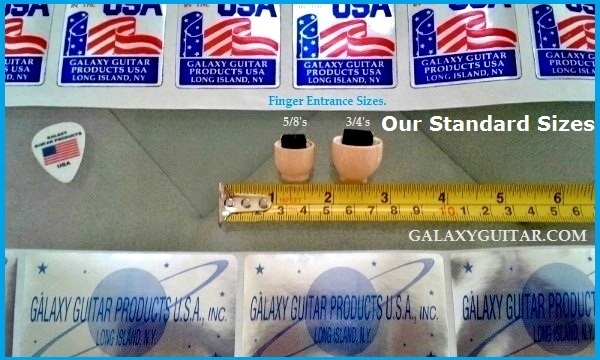 GALAXY CUSTOM VIP FT-1 & FT-2 ORDERS: We can accommodate specific client requests such as having Your Custom Galaxy Guitar Finger Protector™ made to fit a thin finger, smaller than 5/8's down to 1/2" or for larger fingers: 7/8's to 1" finger circumference size's. We also offer The Galaxy FT-2 Finger Extension™. A 2 inch long finger extension for musicians or non musicians that have a short finger or have lost a finger from the knuckle joint forward. Custom order options include Galaxy's Micro-Foam Strip Inserts for a snug custom fit. You can custom order Silver Metallic Flash Stripes over any color. Custom orders take only 7 to 10 days to complete & ship. Considering a custom made medical prosthetic can take much longer for thousand'$ more of a financial investment & are to soft for musical instrument applications makes your FT-1 or FT-2 a smart choice. All Protector Order's are fabricated in our Ultra-Flex™ Formula. A Custom fabricated Galaxy FT-2-inch Finger extension™ is $437.00. FT-2 extension's are available 1/2", 5/8's, 3/4", 7/8's, 1 inch interior circumference size's. FT-2 is a straight finger extension available in Flesh Tone color & can be ordered in Matte or Gloss finish with or without a simulated Finger Nail & no exterior leather front bottom strip if wanted. For musicians a leather strip is standard. Currently Galaxy offer's free shipping in the USA. International orders allow $25.00 USD additional for your order. Click any "BUY-ME" Tab fill out all required fields, check the Custom FT-1 or FT-2 box on our order form. We will e-mail you a custom option confirmation form & request photo's of your finger over a tape measure for proper measurement analysis. We then can review your requirements with you before the order is processed. Not sure what is best for you? Use our "Contact Us" form to upload a photo of your finger over an inch tape measure, positioned as we show above on this web page. We do not choose your size, our qualified technical team can analyze your photo a provide a professional recommendation to help you choose your size. DOMESTIC & INTERNATIONAL SHIPPING: We currently are offering free ground shipping in the USA. You may upgrade to 3 Business Day Air Express for $10.00 check that box on the order form. Domestic Overnight USA Shipping Service is available for $47.00. International Customers We try to keep your costs down as much as we can. Please allow $25.00 additional for FedEx Intl shipping which includes U.S. Customs Paperwork Preperation we prepare on our end. We split the shipping with you as it cost us $50.00 USD. We pay additional credit card Intl exchange rate service fee's. FedEx helps us to clear your shipment fast through your country Customs. Intl FT-1 Order Total is: $162.00 USD. Intl Customers review additional information about possible Customs charges set by your country at the bottom of this page & our Policies page. 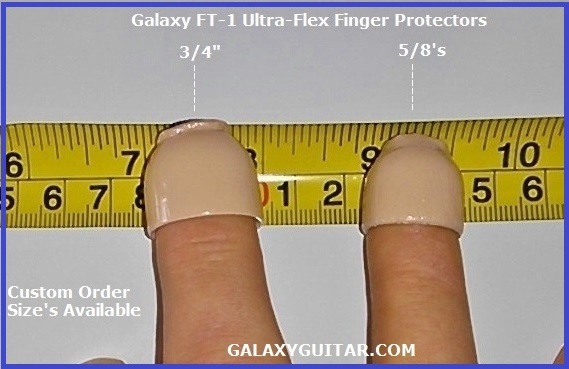 HOW FAST DOES GALAXY GUITAR PROCESS & SHIP MY FINGER PROTECTOR ORDER? Orders Confirmed by 12:PM Pacific Time ship the same day except Sundays & Holidays. We are open Sundays, carriers do not pickup on Sundays those orders ship Monday. We ship your order to you within 24 hours or less after you have completed & returned our authorization & agreement. We do not ship to PO Boxes. When you order check your email or bulk e-mail folders, we are emailing you the authorization agreement. Have questions? 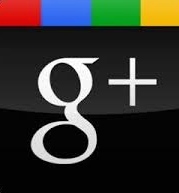 Use the "Contact Us" tab located at the top of this page. Galaxy's FT-1 is your only choice if your serious about your playing & need Professional Finger Tip Protection. Prosthetic medical companies refer us musician clients. To have this made by them would cost you $4,500 to $7,500 & would be to soft for musical instrument playing. Our Price for an Ultra-Flex Standard Size FT-1 $137.00. Custom Finger Protector orders: $247.00. Galaxy FT-2 Custom orders are $437. All Custom Orders take 7-10 days to fabricate. Our Finger Protector cores can last a life time unlike a medical prosthetic that wears out in a few years. Due to the sanitary nature of these products worn on your finger or risk of infection all sales are final no returns. Your Determination & Patience are keys to success. Once you get used to your Guitar Finger Protector it will become second nature. We help one Musician at a time play their instrument in comfort. Prepared for Customers in The UK & Norway. FT-1 Finger Protector available in your favorite color. Go with a bit of flash While Protecting Your Finger. Hand Painted Silver Metallic Flash Stripes. Precise String Bending is Possible w / Your Injury. Available Custom Order Interior circumference Sizes: 1/2", 5/8's, 3/4", 7/8's, 1 inch. Shown in Large 3/4" interior circumference. Available For Custom Order Sizes as well. Shown With Flash Stripes At Customers Request. Confirm your color choice in the order form bottom comment box. After many requests we offer a Custom Made 2 inch Finger Extension. If you lost your finger at the Knuckle Joint this is an affordable Option. Thousands less than a medical prosthetic this may be your solution. They do not have the appearence of an expensive Finger Prosthetic. Customers who want length, strength that will not tear or dry out. The mission is to provide you a tool to over come missing length. Custom made to order for Injured Musicians. Stronger than softer silicone fingers. 2 inches in total length. Optional Simulated Finger Nail No additional charge. Normal- 1/2", 5/8's. Large- 3/4", 7/8's, 1 inch. Shipped Worldwide Within 7-10 Days. Photos Provided by: Galaxy Customer: Robin Bhati. Galaxy Color Match Darker Flesh Tone. I would just like to say a big thank you to everyone at Galaxy Guitar Products. The superb customer service and professionalism with your company is second to none. The FT-1 finger protectors are absolutely amazing and after some practice with them I am playing quite well, even slides and bends. After a massive heart attack and months in the hospital I lost two fingertips on my left hand, three on my right hand and both legs below the knees. As I went through several months of physical and occupational therapy and two surgeries on my fingers, the reality that I may never play Guitar again was very hard to accept since I have been playing most of my life. The FT-1 finger protectors have allowed me to play my Guitars again. I am so thankful I found your company that puts your customers first and provides such a valuable service for musicians. My 4th Order a Custom Galaxy FT-1 Finger Protector. Thank you so much and please let owner Randy Young know I am very grateful and humbled by his generosity. These finger protectors have brought me a great deal of happiness. I cannot say enough good things about your company, customer service and products. James Welch. Green Cove Springs, Florida. Just a huge thank you to Galaxy Guitars for all the fantastic service and follow up on my order you guys really went the extra mile, the replacement order arrived yesterday and I am extremely happy with the FT-1 finger tips and the plectrums gift included in the package. Well done you guys Rock. Kind Regards, Nigel Camara, South Africa. Violinist: I have received my FT-1 today. Day 1 I can see it will make a huge positive impact in my violin playing. More free from the effect of my finger injury. Kind Regards, Irene Shin. United Kingdom. I just ordered a Galaxy FT-1 Protector for my client who lost his fingertip in an auto fan blade accident. I am writing this on his behalf and just wanted to let you know that my client's frustration level has practically disappeared completely. He feels it won't be very long that it will entirely disappear for good. The protector you guys have provided him has literally opened up his creative path. He will not be selling his stringed instruments now, thanks to you. Cheers. I'm really impressed with this product after an injury like mine. Losing part of two of my fingers is not a good thing so playing the guitar again is like a rebirth for me! The adaptation process is fast. The Galaxy FT-1 Ultra Flex fits perfectly. You have to be patient to get used to them. Of course it is the solution. Thank's to the Galaxy staff for their attention in every moment I needed. Greetings from Spain! Raúl Buil Nasarre. Professional Guitarist. This is a re-order. I am currently on my second FT-1 and it is still in good shape, but I want to have a spare on hand. Thanks for the great product. It allows me to play. Without it I would not be able to. Please send a flesh tone color. I was repairing a piece of electronic gear, trying to remove some epoxy from a circuit board, the razor blade slipped; slicing into my fingertip, and out the other side through my fingernail. It took more than a month to heal back together. I've been playing the guitar for over ten years. After my finger healed back together I found it hard to fret with that finger. For the first time in ten years, I could no longer play the guitar, this was devastating. I've been playing in a band for two years & were in the middle of tracking my guitar parts for our first record. I was literally losing sleep wondering if playing guitar was gone forever. I discovered the Galaxy FT-1 on line. I was a bit skeptical, but willing to try anything to be able to play the guitar again. I started to fret and strum, although it felt quite foreign, I realized instantly that there was no pain. I felt this certainly was a step in the right direction. Now the FT-1 is truly an extension of my own finger, minus the pain. I can fret, bend notes, sweep arpeggios just like before. Thank you so much Galaxy for giving me my music career back. Thank You Galaxy For My Custom FT-2 Finger Extension! I lost my ring finger up to the metacarpophalangeal joint years ago working on a large ship propeller. I continued to play my Bass Guitar but could not excel to a higher level, I play Jazz & Rock. I contacted many Prosthetic companies who wanted to fly in to size me for a 2 inch finger prosthetic only they wanted thousand$. I could not afford that. My friend found Galaxy Guitar Products after doing a Tony Iommi search online. Even though I lost more of the finger than Tony, I found Galaxy a God send. After a few emails back & forth to Galaxy's technical team who were very helpful, I ordered my custom made FT-2 Finger extension. After 8 weeks I am now more than able to work it into my playing and grateful I took action. It did take me weeks to become used to it. I am proud I had that determination to do so. Thank You Galaxy Guitar Products Team for working with my photos an giving me the attention to get me using all 4 fingers once again. I was playing guitar for about one year when I accidentally had the tips of my left middle and ring fingers chopped off in a lawn mower accident. Even though I was not an accomplished player, I was excited and pleased with the progress I was making with the guitar. I had a skin graft done. To this day, the pain continues to exist especially in the winter. The pain can persist up to an hour. Obviously, I was devastated that I could not play guitar anymore. I was determined to find a way to play again. I put band aids on my fingers with the hope that the cushion would protect my injury and soften the pain. I realized this would not work. There is no plastic surgery for this injury and I was hesitating to take medication. My injured fingers could not grip the strings. I have been an avid Black Sabbath fan and knew that Tony Iommi had a serious injury to the same fingers that I did. Tony is left handed, he injured two of his fret fingers. 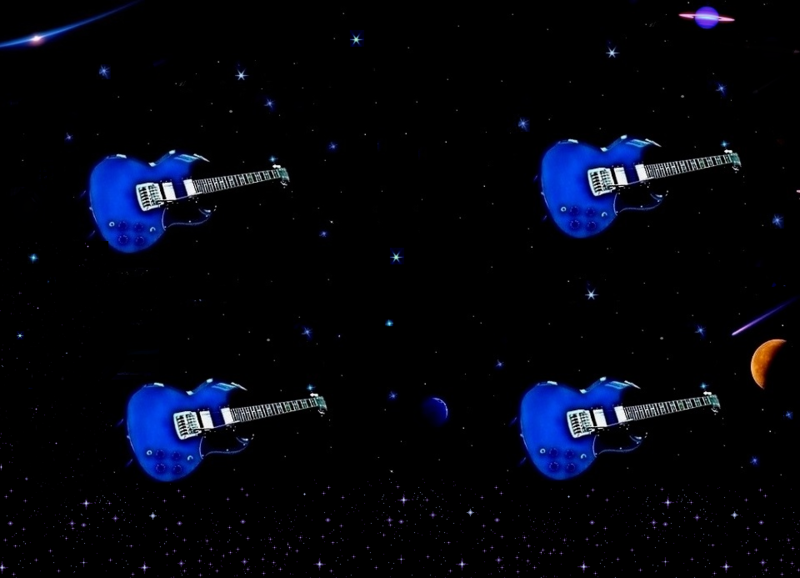 My Google search led me to Galaxy Guitar Products. I saw that there was an affordable product available, I eagerly purchased two of the FT-1's for myself. I had a difficult time moving my two fingers around. My injured fingers were always bumping into one another. After a month, I became very use to the FT-1's more and more. Now, the feeling I have with the FT-1s is very natural. I feel blessed that I have another opportunity to play again. Without this product I would not be able to play the guitar period. Thanks to everyone at Galaxy Guitar Products! Hey Galaxy! Thanks for the finger extension (protector). It works great! Already getting used to a normal length middle finger. Galaxy, Thanks! Works great, I'm back in the saddle again! Edward J Hines. Edward Hines Music, Wendell, Massachusetts. I want to thank you Galaxy for the FT-1 Protector. With 4 sold out New Years shows and a badly cut finger the outlook was bleak. The Galaxy FT-1 worked great and the shows went on. Was I at 100%? No but I could play enough not to have cancelled. The 10,000 people over 4 days thank you as well. I'd love to write a testimonial for your site if I could, Thanks Again. Rob Eaton. Dark Star Orchestra. When I was 19, in 1979, I worked digging holes for swimming pools with a large Caterpillar shovel dozer. After a hot day of work and a few beers, while trying to trailer the beast, my left index finger got pinched between a track and a large chain link. Needless to say, the end of my finger was crushed and left very sensitive. When I was 33 I had my right shoulder "Fused" into the socket after smashing it to smithereens. I became a lawyer at age 50. As a reward to myself, I decided to take up guitar this year at 53. I bought a Fender Telecaster Thinline semi-hollow body for myself at Christmas. I was concerned about both my shoulder and my finger. The shoulder is not a problem, but the finger is so sensitive I can't play, or so I thought. Along comes a God send, the Galaxy FT-1 Finger Protector. This thing is awesome! It fits perfectly on my finger and the engineering is so precise and well done that I can actually play my guitar-without pain! Awesome!! Thomas Doherty Doyle, Esq. Chelmsford, Maine. 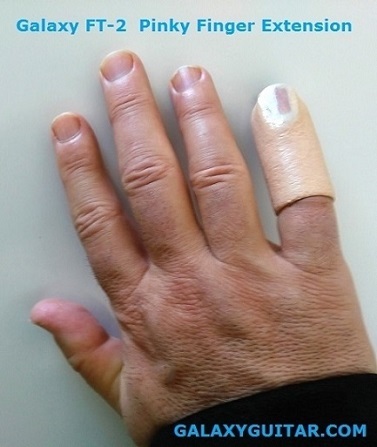 On January 13, 2014 in a freak accident while hitching up our travel trailer, I amputated my left index finger just above the base of my fingernail. I play banjo, guitar and mandolin, so needless to say I was totally distraught fearing that I would never be able to play again. 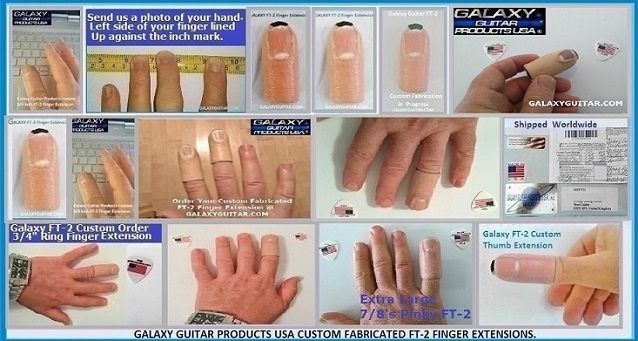 I began researching finger prosthetic's on the internet and found Galaxy Guitars and the FT-1 finger protector. After reading all the testimonials, I was concerned that they were all written by men and wondered if it would work for female sized fingers as well. I called and spoke with a tech about the FT-1. He was very supportive and helpful and spent so much time talking with me and answering all my questions. I immediately ordered one even though I knew it would be quite a while before my finger was healed enough to try it. Even though my finger is still tender, I could wait no longer. I put it on for the first time on March 10th and after only 3 evenings of 20 minutes sessions, I am able to hit all my old licks on the banjo and with no pain! I have also worked a little with the guitar and mandolin with equal success. I am so pleased after only 3 sessions with the FT-1 that I have ordered a second one. My husband and I play bluegrass professionally, but we play out of passion for the music. While I could have lived with the thought of never “performing” again, the thought of never playing again was devastating. Now I know that it will be music as usual! THANK YOU GALAXY GUITARS FOR THE FT-1!!! Hello, I ordered the Galaxy FT-1 Finger Protector. When I first opened the package, it did not fit my finger which was quite the bummer since I had not been able to play my guitar in over a year after losing 1/2 inch of my ring finger in an accident at work. After reading the instructions, I removed the leather grip from inside the tip. After pushing it on my finger I proceeded to try an play my guitar. What happened next brought a smile to my face that has not left yet. I could play my guitar!!!! After a few weeks of practicing, I have regained most of my playing skills. Now I am going to record some of the 100 plus songs that I have written over the last 25 years! I am going to give a serious go at becoming a country songwriter. You never know how much you take something for granted until you lose it. I will not take music for granted ever again!!! Thank You Galaxy from the bottom of my heart for giving me another chance to play again!!! 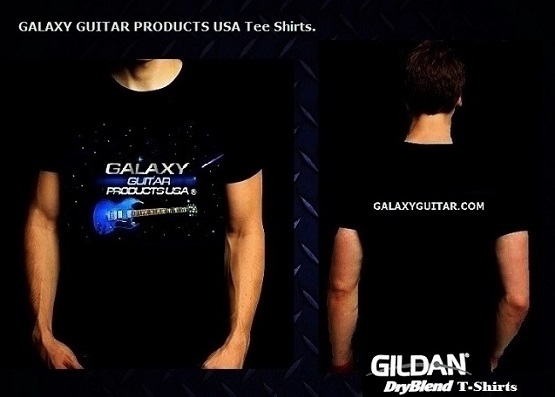 Add a Galaxy Guitar Products T-Shirt at Checkout while they still are in stock. Made In The USA. Some sizes already have sold out. High Quality Gildan tag-free Shirt. Full color animated design, form fitted. Stay-Dry Technology. Attract attention wherever you go. Look great while letting the world know you're a Guitarist. Color: Black, Sizes: Medium & Large. Small & X-Large sold out. Get Yours before they are gone. Free Shipping in the USA! We ship Internationally 6 days a week. Galaxy FT-1 & FT-2 ship worldwide via FedEx International first class or Priority Service if upgraded. International shipments must clear customs in your Country. Please note: There may be additional Customs charges set by your country that are not covered by Galaxy Guitar Products. We have no control on what your Country Customs policies are at the specifc time of delivery. With current Tariff Battles going on between countries, custom charges are not determined by us. The $25.00 International fee covers export shipping to your country & U.S. Customs export paper work preperation for the United States. We actually pay more than $50.00 for each shipment as FedEx & Credit Card exchange fees create additional charges we absorb. For more information visit our policies page. The Galaxy FT-1 & FT-2 are provided to help Musicians. All orders are verified via email. Clients must agree to specific terms by authorizing their order an confirming their size. The Purpose of the Authorization & Agreement is to confirm you have reviewed & understand the Non Returnable All Sales Are Final terms on Finger Protectors & Finger Extensions & you re-measured your finger for a proper fit. Due to the Sanitary nature of these products worn on the finger or risk of infection all sales are final there are no returns, no refunds. We do not handle or re-sell used protectors. Galaxy does not choose your size, we are not responsible for a mis-measured finger. The Galaxy FT-1 & FT-2 are not a medical device, they are music accessories. Galaxy never processes an order or your payment until you confirm it in writing via email. We provide professional help to assist you with sizing. Please make arrangements to have someone at your location to accept your shipment if you will not be available. We can not be responsible for stolen orders once a delivery confirmation to your address has been made by the carrier. When using a credit card to purchase, Your Ship-to address must match the credit card billing address. For protection of our Customers we verify every order. For Business Inquiries, Sales or Technical Product Questions click the Contact Us form tab. For Customer support email our Client Services Help Desk. The email address is located at the bottom of your sales receipt. Our International Tel: 702-363-5465.To Receive Members Only Discounts- sign up to be part of our mailing list. 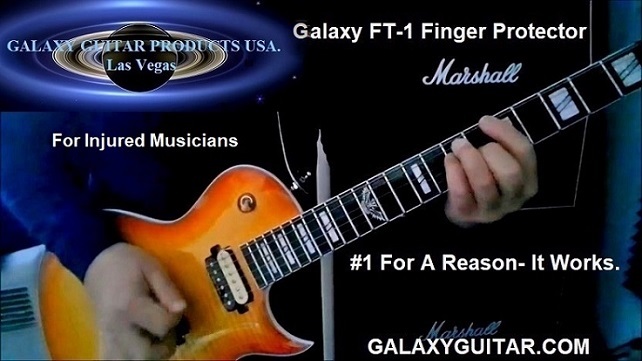 Legal Disclaimer: Please be advised all content including text, photos, discriptions on this website are the sole property of Galaxy Guitar Products USA an may not be used without express written permission. Terms are clearly stated relating to products, non-return policies, finger measurment responsibilities of purchaser. For specific detailed information visit our policies page.